Below is a list of homes for sale, if you would like to refine your search within 85004 you can easily do so here. Residences in this MCM masterpiece are characterized by large rooms, high ceilings, all concrete construction and a commercial grade central plant HVAC system. 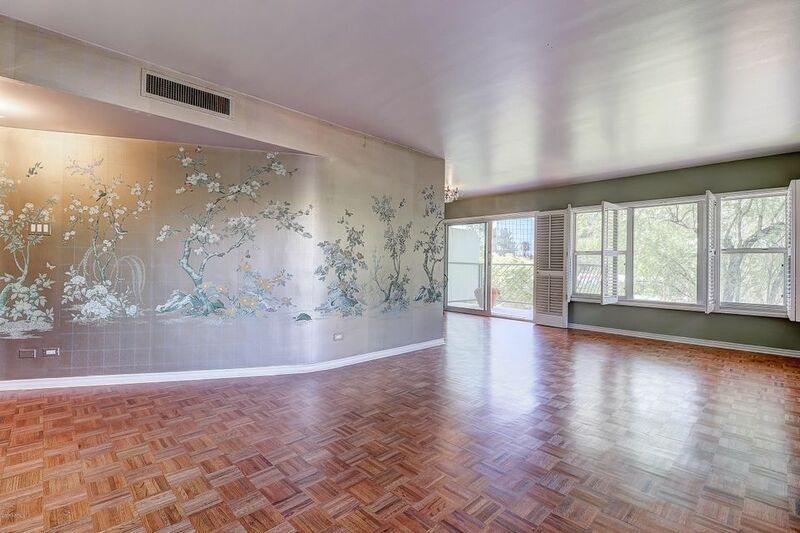 Apartment 2D is move in ready with GORGEOUS refinished parquet floors throughout and views in two directions. Original MCM plumbing fixtures, kitchen cabinetry and period tile in both bathrooms are in excellent condition. 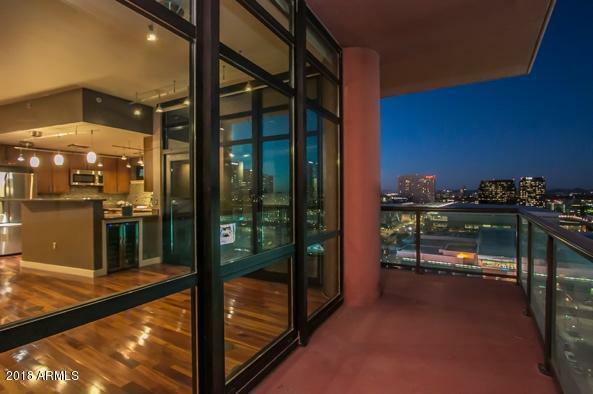 Additional building features include a spectacular roof top terrace with a 360 degree unobstructed view of the city that you may reserve for private entertaining. The resort sized heated salt water lap pool has an adjacent kitchen and BBQ and there an on site community garden & dog park. Pets are allowed. 24/7 door staff ensures an environment of upscale serenity and unparalleled convenience. 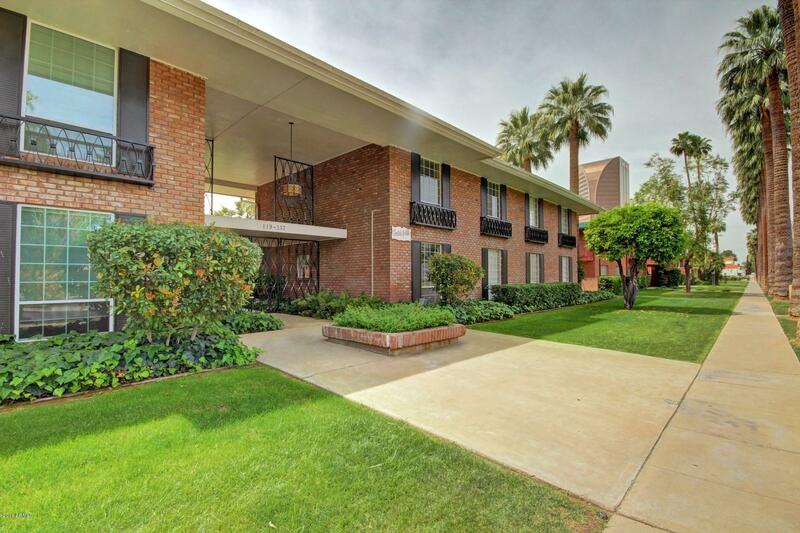 Remodeled Condo in this amazing historically designated Mid Century Modern complex with mature landscaping, lush grass common areas & 2 pools. 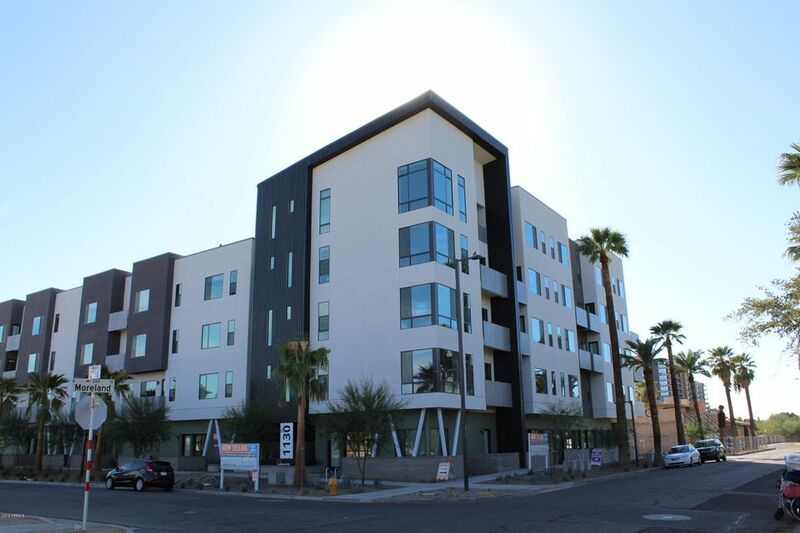 Steps from Phoenix Art Museum & all that trendy downtown now offers. Fantastic community! All new kitchen boasts gleaming granite & new appliances. New baths feature new showers-tub-gorgeous vanities, & lighting. All living areas are terrific size. All new tile & A/C unit! Paid Laundry Facility on property. Nothing else like this community. Get ready for a huge price reduction on 1/1/19!! Don't wait for everyone else. Buy now! 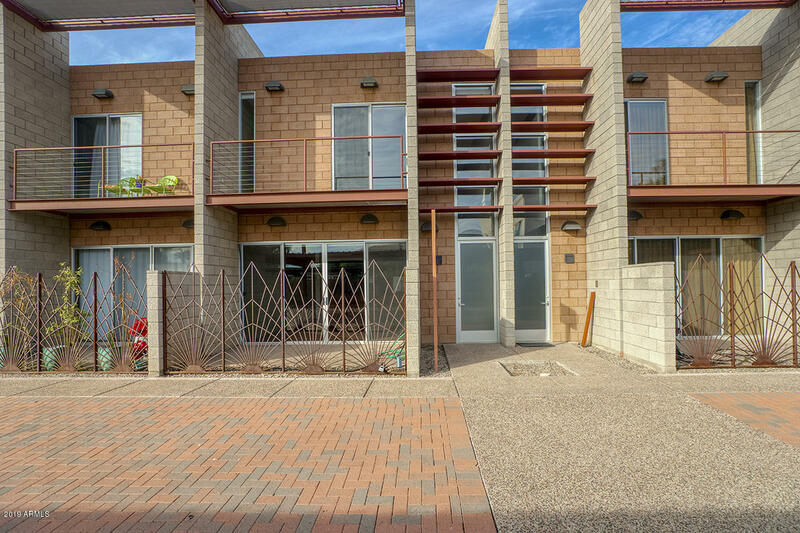 You must see this fabulous 2 bedroom in the iconic Regency House (aka Regency on Central)in the middle of Phoenix. 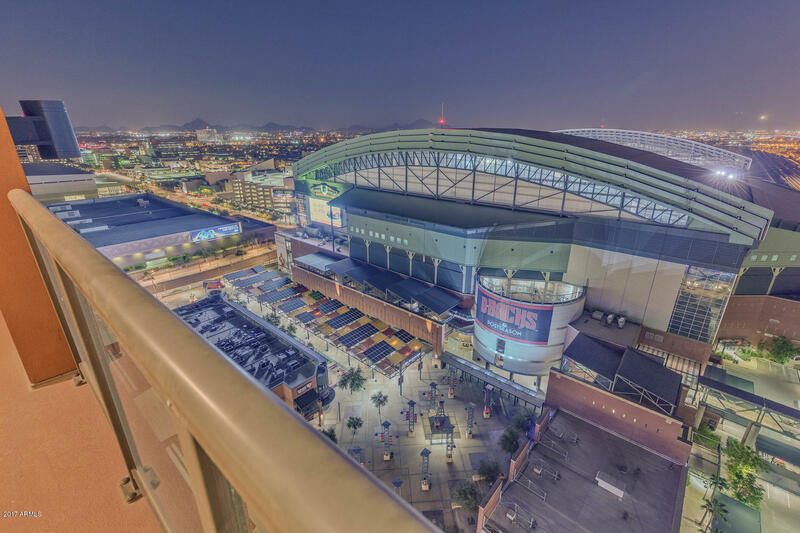 A 29 foot long balcony on the north side provides unbelievable views of the Phoenix skyline.Those city lights are truly mesmerizing and yours to enjoy every evening. 2nd balcony with SW views captures gorgeous AZ sunsets. This unit has been gutted and all the heavy lifting completed. Dirty work DONE! It's ready for you to create your stylish dream home in the super hot Regency on Central. Reno Loan with 10% down through Fannie Mae is available for this unit. Call for details. See supplement for everything you get with your monthly HOA dues payments. Seller to buyer down interest rate to 3.99%!! Sports enthusiasts, 2 bedroom 2.5 bathroom condominium located on the highly desirable NE corner of Summit at Copper Square with minimal sun exposure. 2 Side-by-Side parking spots included! This corner residence with walls of glass offers amazing mountain and city views from all windows including a oversized wrap around balcony. Completely renovated with exquisite finishes including Brazilian Koa wood floors, George Kovacs designer lighting, and upgraded appliances. Secured Storage Locker in garage. Amenities include 24 hour secured access, fitness center, pool, entertainment patio, sky lounge, and a meeting room with a conference table. Conveniently located in Downtown Phoenix in the midst of the action. Steps from light rail stop! Oh my! What a awesome find for a true urban living lover! Soaring ceilings with exposed block walls, modern steel staircase, steel cable railing, spiced maple cabinets with frosted glass fronts and a open concept living room. This loft style townhome has 2 loft areas upstairs perfect for a bedroom and a den/office! There is a nice patio in the front and one in the back of the unit too. This is a small, gated and super friendly community. 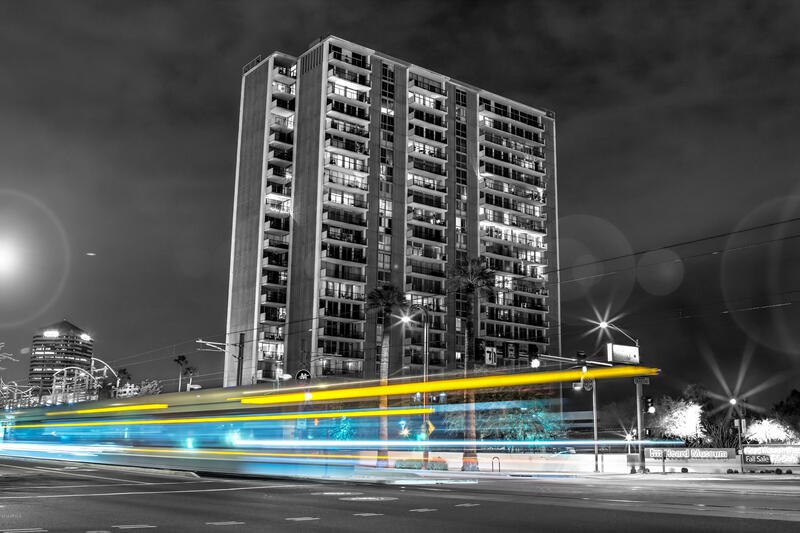 The area is walking distance to the light rail, museums, theater, restaurants and more. Come take a look and allow yourself to fall in love! It is a full 10! Mid-century architecture meets sophisticated styling in this stunning midtown masterpiece. Completely upgraded to today's standards. 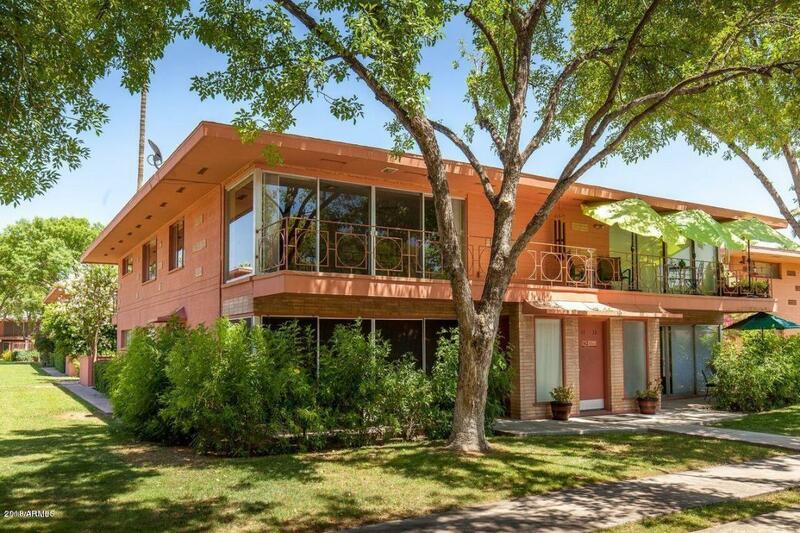 Unobstructed city & mountain views above the Heard Museum create a perfect private backdrop. South facing floor-to-ceiling windows compliment a large covered balcony to enjoy breathtaking sunsets & city lights all year. From the moment you enter this spacious 2BR, 2BA urban home it's clear why historically registered Regency House has remained an address of distinction and a Phoenix landmark. Clean lines, an open floor plan, and smart use of space are all timeless elements of this picturesque home. Elegant finishes including natural stone flooring throughout, stainless steel appliances and marble create an upscale urban living experience in an ideal location. 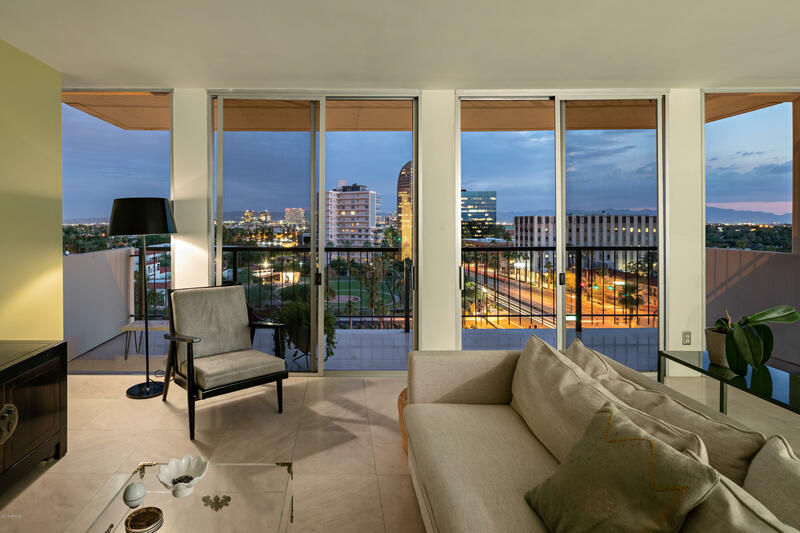 Live in style in the the Heart of Phoenix's Historic Art District. Regency On Central. 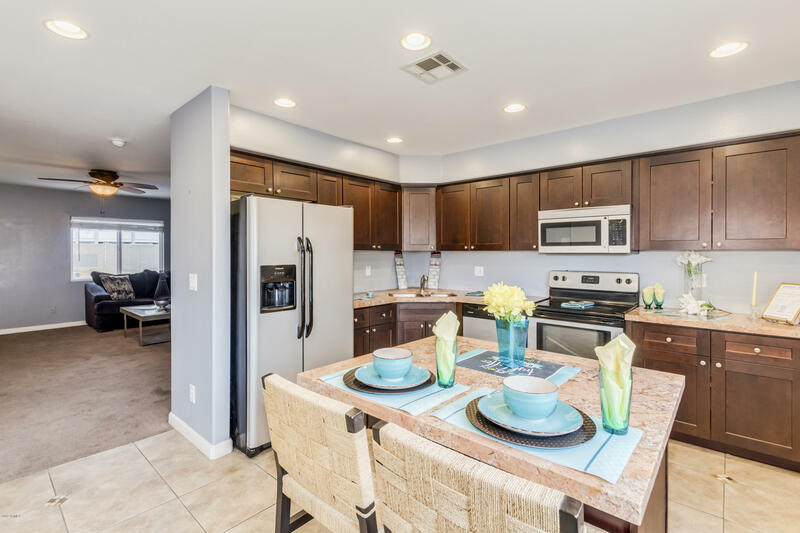 This completely remodeled unit designed in contemporary style. Stunning city light views DTPhx skyline. Steps to the light rail, right on Central. Sporting events, theater, arts district, walk to popular restaurants. Sophisticated contemporary style w/2BD, 2Bth, upgraded kitchen baths with high end Thomasville cabinets, quartz counters, Deco stone back splash, appliances & fixtures throughout. 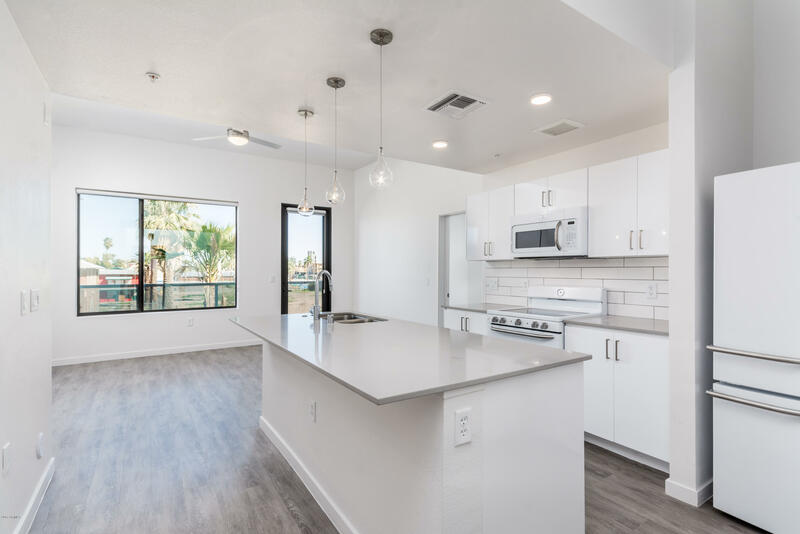 S/S steel sink, glass cook top, oversized master shower with glass inset deco bands, TOTO water closets, basin sinks, chrome faucets, Bosch Washer/Dryer conveniently located in unit. The owners invested $22k on new commercial grade exterior windows & sliders. 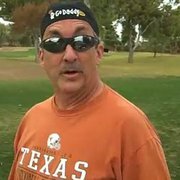 temperature control, UV protection - AMAZING! Welcome to your brand-new modern condo located steps from Roosevelt Row! 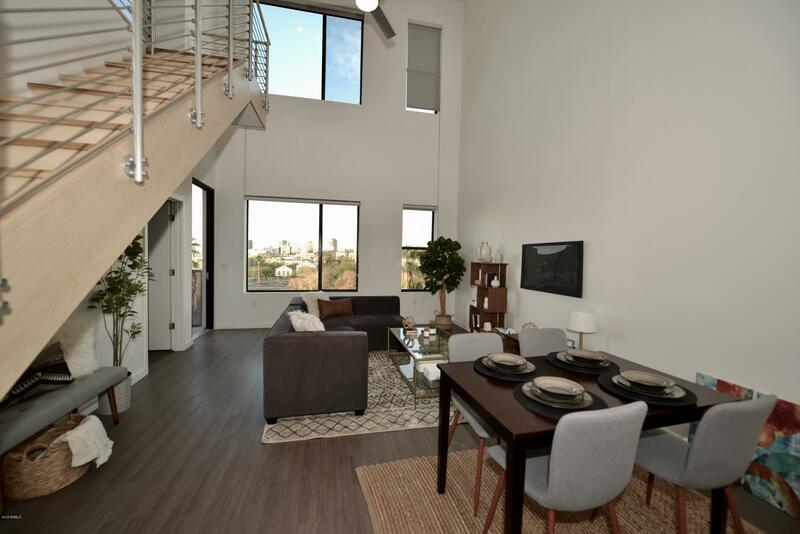 This 2 bed, 2 bath loft with 26' height ceilings is facing North with mountain and city light views. This gated, secured community offers a heated pool and elevators to all floors. Currently in our close out phase! Sales Office Open from 11am-6pm from Thursday through Monday. HOA PAID FOR 1 YEAR! 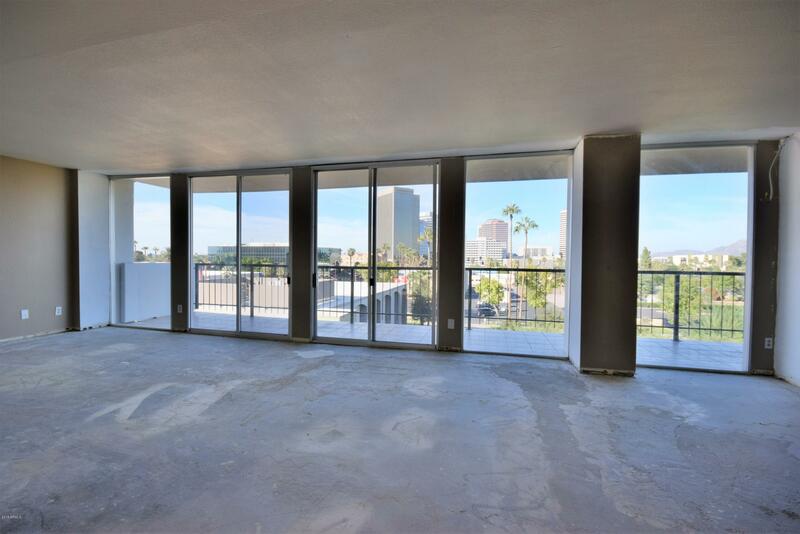 Unit 215 is an end unit, 2 bedrooms both with walk-in closets, 2 baths, split floor plan with the largest balcony. Brand new, clean, and modern designs. 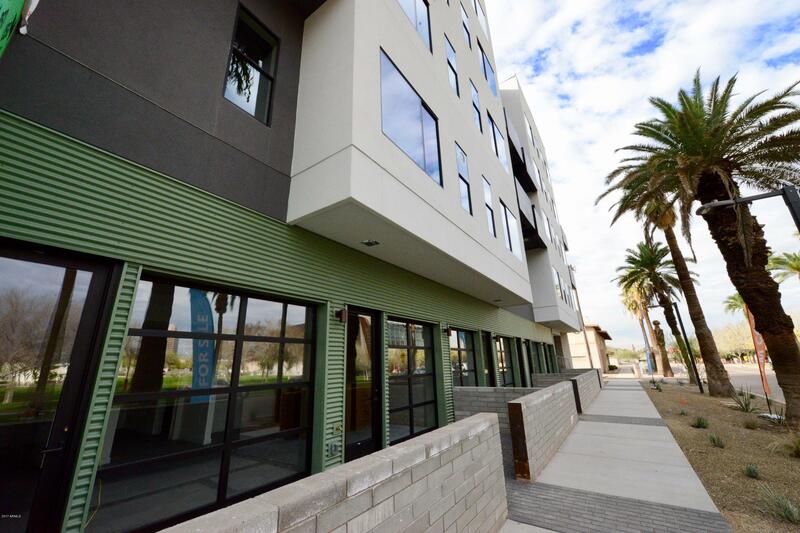 Ready to move-in units offering FHA and VA financing. 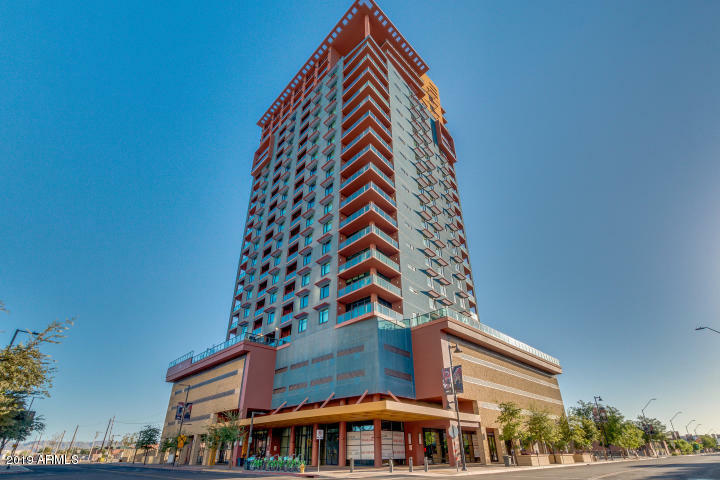 Conveniently located next to the light rail, local eateries, schools, and businesses. Quiet gated community with heated pool, BBQ, fire pit, and lounging area. Elevator available to all floors. Bike racks available for use, assigned covered parking and secured gated entry. All kitchen appliances included, washer and dryer hookup in unit! HOA includes water, sewer, trash and recycling. Currently in our Close Out Phase with limited floorplans available, all move-in ready come check it out! Sales Office Open from 11am-6pm from Thursday through Monday.